You just heard back from the position you had a phone interview for last week. They want to bring you into the office to talk in person. Fantastic, right? Yes… Except going on an interview can be overwhelming. And when it comes to a technical interview, even more so. And it’s not just because you have to showcase professional achievements and explain why you’re a great fit…on the spot!…but also because you may have to answer technical questions, and even do code exercises. 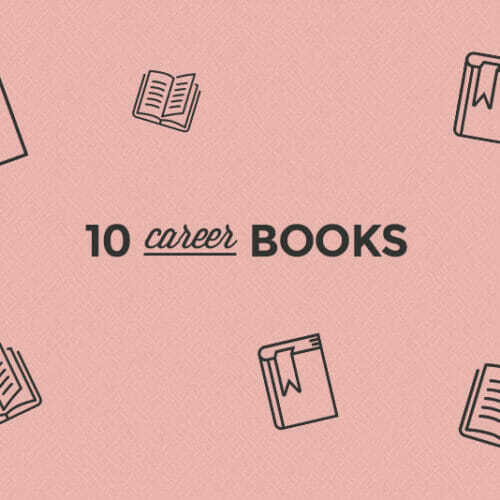 Hello, there are entire books dedicated to how to ace technical interviews! Instead of falling victim to information overload, take a deep breath. Know that with sensible preparation, you can rock your upcoming interview. 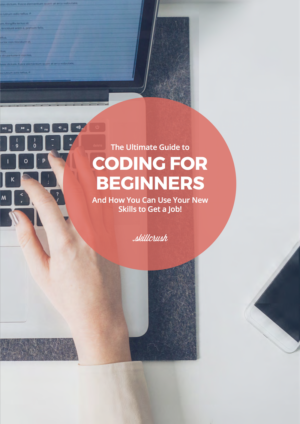 Now, as a self-taught coder, I’m especially familiar with how scary it can be to walk into a job interview in an entirely new field, but I’m here to tell you that you WILL survive, and you will also learn SO much. Below are 12 things NOT to do if you want to leave your interview expecting a job offer any moment, based on my real-life experience. And pssst! 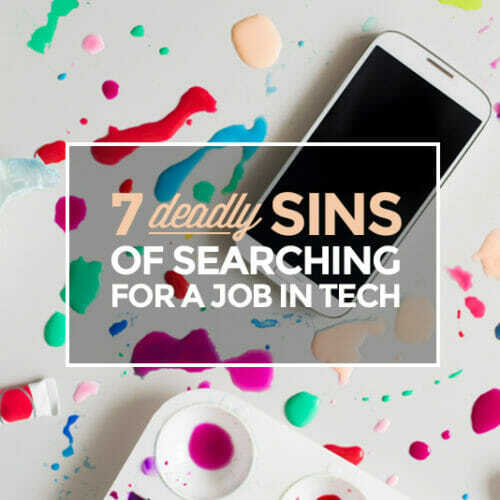 Make sure to snag Skillcrush’s Ultimate Guide to Your First Tech Job Interview. The 48+ page FREE (!) ebook breaks down what to expect and how to prepare for your first interview, what to do to leave an awesome impression, and tips for what to do AFTER the interview to seal the deal. Download the ebook here! Interviewing takes work before you even get there. Prior to your interview day, you should have an understanding of the company and know the industry that it’s in. Example: you’re about to be interviewed at Kissmetrics for a junior developer position. Don’t just get a background on the company, also research the industry it’s in—marketing. More specifically, customer intelligence and analytics. What are some major trends? What are some top concerns? Get an understanding of their target audience. In this example—medium to large software as a service (Saas) companies. You want to figure out what the company’s mission is and how you can add to it. Aside from looking on the company website, sites like Glassdoor make it simple to research companies, salaries, and what current/previous employees think about the working experience. 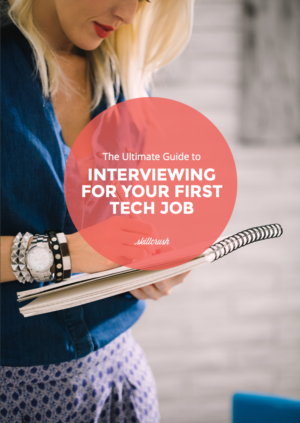 Also, the free downloadable ebook I mentioned, The Ultimate Guide to Your First Tech Job Interview, includes a pre-interview worksheet to help guide you through the research process. More than just being familiar with the company and industry, familiarize yourself with who will be interviewing you. Now is the perfect time to do some light social media stalking. Your goal is to find out as much as you can about the hiring manager and the team you may be working with. This will give you context during the interview and help to appeal to the interviewer’s deepest needs and concerns. LinkedIn is a great place to research people who work at the company, because most companies have a LinkedIn company page. (Take a look at the Kissmetrics LinkedIn page, for instance.) On the company page it’ll show if you have any connections that work at the company already, plus who else works there. Beyond LinkedIn, you can also look at the hiring manager or another existing employee’s Twitter account, Facebook profile, or personal website (if they have one) to glean details about who they are. A simple Google search with their name plus what you’re looking for (i.e. “Jessica Mautz Twitter”) should do the trick. Before heading into your interview, you want to make sure your online presence is up to date. In fact, this should be done early on. Most hiring managers will Google people before inviting them in for an interview and you want to give a great online impression! On your LinkedIn and personal site, make sure all information is up to date and the most relevant projects are prominently displayed. Make sure your portfolio site is seamless. That is, there are no spelling errors or glitches. Also check that it works across screen sizes, especially if you’re looking for a job in any field involving mobile design or development. It’s simple to know what you’ll be interviewed on: look at the original job ad you applied to. See the primary skills and responsibilities listed? That, my friend, is what they are looking for in a candidate and what they will most likely ask you about. Aside from brushing up on technical skills the job will require, also review general business and technical terminology. This will mean you’re comfortable with any lingo the interviewer throws at you, and also that you’re fresh and ready for any coding tests…eep! For many new techies, their biggest fears when it comes to the technical interview is around the questions they’ll be asked. Remember, in most cases, questions will relate to the job you are interviewing for. Meaning if it’s a UX role, you may be expected to draw out some wireframes, or user journeys. And if it’s a developer role, you may have to do a whiteboard challenge. Still, some companies are known to ask “weird” interview questions, like the now-legendary Microsoft question about why manholes are round, for example. 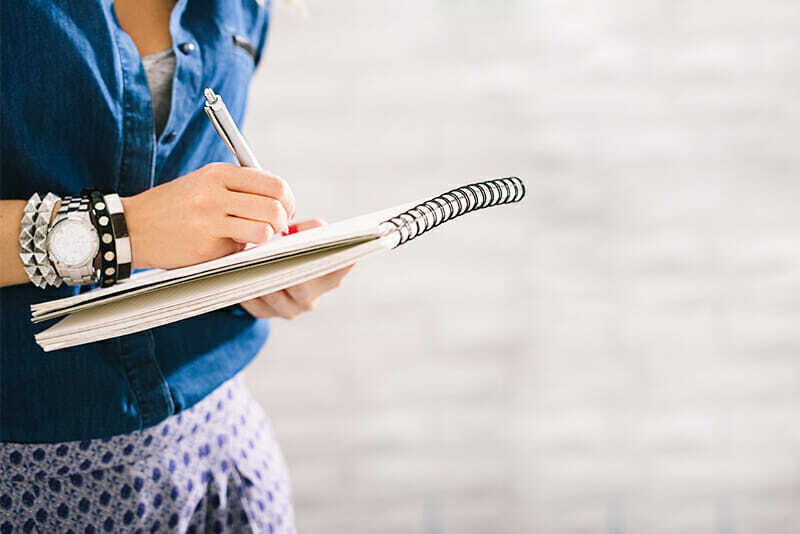 Below are a few places where you can glean insights about questions you may be asked by the company you’re applying at. Pramp is a web app that allows you to practice technical interviews online…with a real human being! 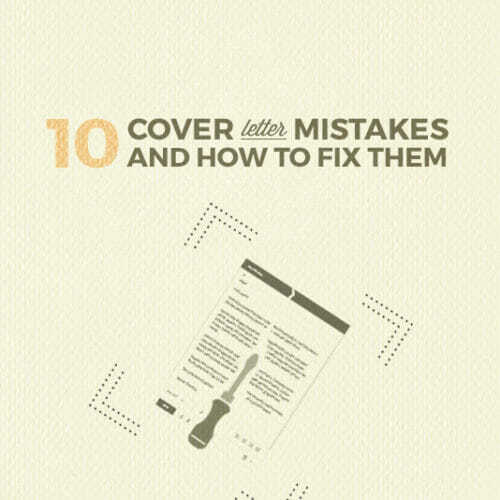 Moreover, the interviewing ebook you downloaded above covers common interview questions and suggested responses. Make sure to snag it here if you haven’t yet! It’s always wise to pack your bag (and choose your outfit) the night before. This way you won’t be panicking last minute as you track down the last place you left computer charger. It’s okay to talk about your non-technical experience. But make sure to do it in a way that relates to the position you are interviewing for. Even without “real” tech experience, you can share stories that relate to the position you’re being interviewed. You can also give emphasis to your “soft” or transferable skills. Like communication, teamwork, leadership, and time management. These can be valuable in any role—including tech ones. Think of ways you used soft skills in previous positions that can also apply to the one you are interviewing for. For instance, if you used to work in an operations role, you can talk about certain organization mechanisms or project management tactics you’re familiar with that can also be applicable for this role. Still, avoid giving the interviewer a full-length rundown of all the nitty gritty details of your last several positions. Think of it like a highlight reel, emphasizing the best parts. If you receive a tricky question or code test, don’t panic! Stay calm and collected—two traits a boss desires in any employee. Before proceeding, especially on a code test, make sure you understand the question/problem. You can repeat it back to the interviewer by saying something like, “So, the question is…” If you’re still unsure, don’t resist asking for more details, especially if you can explain how it would affect your approach to the challenge. As you work through the problem, don’t do it in silence. Explain aloud the steps you’re taking. The interviewer is not just interested in the right answer; they also want to know how you approach a challenging question, and the problem-solving process you take to derive a solution. Even if you feel completely stuck, at least try to solve the problem/question. Employers want patient and persistent employees, not those who wave the white flag at the first sign of trouble. You may feel insecure with your experience as a newbie, but don’t let that show. This is an interviewer, not a bestie you can confide all your doubts and fears with! Besides, even the most experienced techies don’t know everything about everything. What matters is that you exude confidence and stay sure of yourself. Even if this opportunity doesn’t work out, you’ll be remembered as a self-assured candidate. And if you’re remembered well, you could be considered for another opening at the company that is a better fit. Don’t bash previous clients, employers, or coworkers. Even if you’re dying to get out of your current role, and have irreconcilable differences with your supervisor. Play it safe by following the, “If you have nothing nice to say, don’t say it at all,” rule. However, if you must directly answer about your current work situation, say something like, “I love the work I do, but I feel like I am not being challenged enough.” Or simply emphasize your desire to get a job in tech—assuming your current role is in another field. Even if you never look back at the notes again, take them. You’ll look like an overachiever (in a good way). It’s little things like note taking that interviewers will remember after you leave. The next day: Send an email thanking the person for their consideration. Ask any lingering questions and provide information you failed to mention during the interview. Don’t go overboard, though. This message should be short and sweet. The next week: If there’s no word yet about whether you’ll be moving forward in the process, send a follow-up email. Reiterate your interest in the role, and share any solutions or ideas you’ve come up with for the company. Keep in mind that offers can take awhile to be made. Some companies move slower than others. And some have to wait until the end of the quarter, or fiscal year, to take on new hires. If you don’t get the job: Remember, interviews are great practice. Like anything in life, the more you do something, the better you become at it. Tell yourself this. Also, feel free to ask the interviewer for some feedback. This can help you ace the next one. Whether the interview leads to a job offer or not, interviews are great practice. Plus, they give you the opportunity to form connections with new people in the industry. And you never know where a new connection may lead. From my own experience? I was glad I didn’t get hired in the first tech job I interviewed for, but so happy that I went on the interview. I learned so much about what skills I still needed to brush up on, as well as which jobs were right for me. For 48+ pages of detailed advice on acing your first tech interview, download the Skillcrush ebook here! Prev: Want to Be CEO? 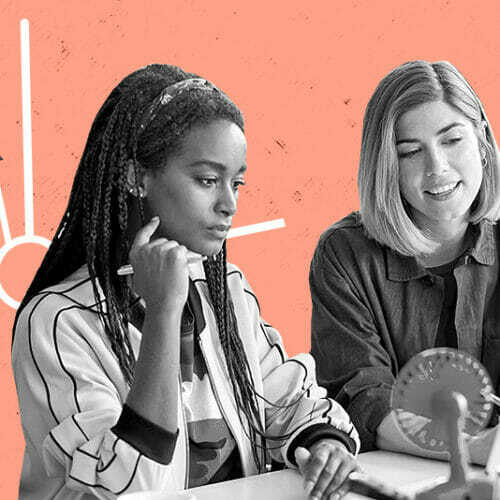 Look to These 27 Tech Companies Started by Women Next: How to Get a Tech Job and Start Moving Up, Plus a Free Ebook!